Dr. Franz Adler has always considered himself more an Austrian than a Jew. Now, though, Austria is part of Germany and he is barely even considered to be human. At least he’s still alive – for now. His brother Karl was not so lucky, murdered by Nazis during Kristallnacht. Now Franz is desperate to get his family out of the reach of Hitler and his Nazis. Unfortunately, almost no countries are accepting Jewish immigrants; Shanghai, in fact, is nearly the only place for Jews to go, as they don’t need entrance visas. The only hitch is that Shanghai is currently occupied by Japanese forces, allies of the Nazis, and as the war progresses being under Japanese rule will become increasingly dangerous for the German and Austrian Jewish refugees. Sometimes it seems that World War II has, no pun intended, been done to death in fiction. Accordingly it is always refreshing to see the time period approached in a new way, or to see a new facet of the war brought to light. 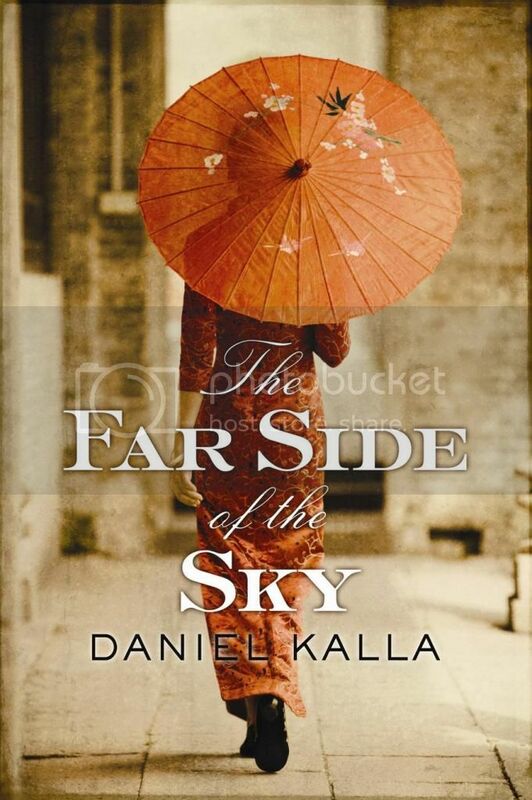 This is precisely what Daniel Kalla has done with The Far Side of the Sky. A sizable Jewish settlement in Shanghai is not something that ever occurred to me, nor did the idea of German and Austrian Jews finding refuge in the Far East – perhaps because it would not be many years after the war before Mao expelled all foreigners from China. I did, however, find The Far Side of the Sky to be slightly over-ambitious in what it is trying to achieve. In addition to telling the story of the Addler family and their attempt to transition into life in Shanghai, Kalla also follows a biracial Shanghailander nurse named Soon Yi “Sunny” Mah. Sunny is the daughter of a Chinese doctor and an American missionary. Her mother died when Sunny was young, but her father is determined to pass along his medical knowledge to her. The Far Side of the Sky is somewhat saved by the fact that Franz and Sunny’s stories intersect to a large extent, but there was a fair amount about each of them individually, and I found that it slowed down the pace of the book and made it overly long – over 450 pages, which was about 100 pages too long for my level of investment in the book. It was not the end of the book that nearly lost me, though, the Japanese attacked Pearl Harbor around page 300 and the pace really picked up, it was the most into the book I was at any point. The Far Side of the Sky sheds new light on an over-written time period, but it is slightly too long and over-ambitious. I’ll be reading this one soon. I hope the unique plot — didn’t know about the Jews in Shanghai — makes up for the length.